Although many Alabama attorneys handle car wreck cases, few are qualified to handle the issues that can and will arise in any collision involving a tractor-trailer. Drivers of heavy trucks are subject to federal motor carrier safety regulations that do not apply to passenger vehicles. Determining whether the truck driver complied with these laws can have an important bearing on liability in your case. 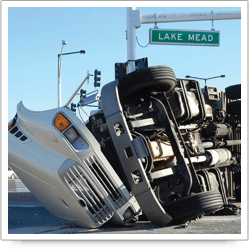 At Riley & Jackson, P.C., we have the experience and resources to handle serious truck accident cases. We represent victims of truck accidents throughout the southeast. We offer a free initial consultation to answer your questions and evaluate your case. If this information is destroyed, it will be lost forever and cannot be used to determine exactly how the collision occurred. Holding truck drivers accountable: Our lawyers are experienced in handling cases where the truck driver attempts to avoid responsibility. One example is the case of Roger Walsh, a Florida resident whose wife was killed and daughter was injured in a collision involving an 18-wheeler in Alabama. The driver of the truck left the scene and later denied that he was involved in a collision. Read testimonials from Roger Walsh and other clients. For more information or to schedule an initial consultation with truck accident attorneys, please call 205-879-5000 or send us an e-mail via this website.